Avicii feat. Aloe Blacc, Bad Boy Bill DJ Bam Bam Feat Miss Palmer, Bauer & Lanford , DUBVISION, East & Young feat. Tom Cane and more. 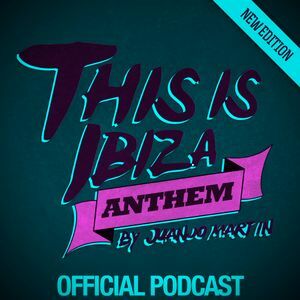 40th episode of This Is Ibiza Anthem by Juanjo Martin with tracks from Avicii, Bad Boy Bill & DJ Bam Bam, Bauer & Lanford, DubVision, East & Young, Hardwell vs REM, Jebu, Juanjo Martin himself, Maor Levi & Pierce Fulton and Def Rock. "The Fix" #040 mixed by Mixjunkies.com includes Dannic, Nari & Milani and Maurizio Gubellini, Digital Lab & Henrix and Michael Woods. Despertar con la música de Juanjo Martin es lo máximo.